What Are Best Free, Web-based Help Desk Software Solutions For A Startup? What are the best free web based help desk software today? It’s a mixed bag of free, freemium and open source apps. If you’re looking for a free-forever steal, something like Spiceworks may work for you. But it’s highly recommended that you opt for freemiums for the reason that your business, if it grows, can’t depend on a free stuff. It has to scale to more sophisticated help desk tools, thus, a Freshdesk or something similar is the ideal fit. In this article, you’ll find more apps with the freebies. Help desk software consists of tools to help you resolve customer issues and queries in the most efficient, accurate, and organized manner in order to provide the best customer service and ensure customer satisfaction. This main function of help desk software translates to many benefits – customer loyalty and retention, staff productivity, and sustainability and viability for your business, all of which contribute to improved revenues. 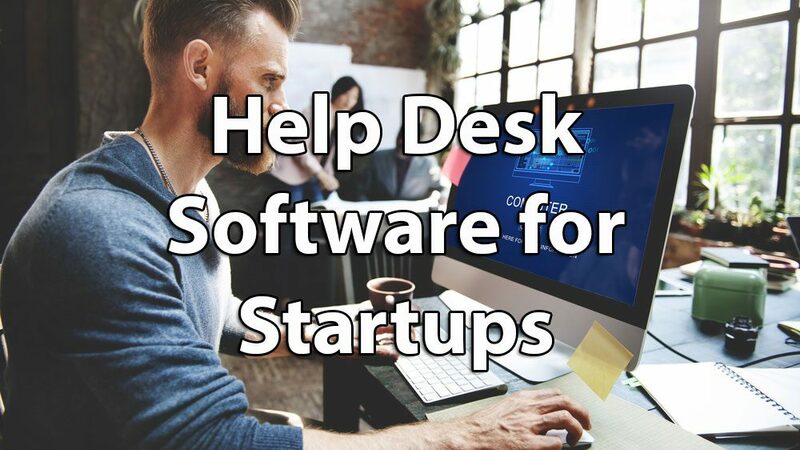 Help desk software has thus become more important than ever for startups and SMBs. Fortunately, the market is awash with help desk solutions for small business, but the big question is right below. Should You Try Zero Cost Options? Why not? Extending great customer service is fundamental regardless of your business’ size, and all the more crucial if you are a startup or small business. One survey found out that 80% of Americans agree that smaller companies place greater emphasis on customer service than large companies. Small businesses are responding, with 40% of them bent on improving existing customer experience and retention to drive revenue growth. If a free help desk software means being able to jumpstart business growth, then go for it. As a startup, you need all the tools that you can get, especially free ones, to start you along. Make sure you read some help desk software reviews first to get enough initial info to set your expectations right. Limited features – basic functions and capabilities. Limited users – restricted to certain number of users. Limited capacity – restriction on database or storage size. Limited use license – free for personal use or educational use. Limited use time – has an expiry date like a free trial after which you have to upgrade.  Limited support – does not have priority or real-time customer support. Unless categorically stated by the product vendor that it is free forever with its given feature sets, the freemium (combination of free and premium) pricing strategy will have you pay for additional features, capabilities, or services you need. Since no business is meant to be static, you will eventually take the route of either adding more features or upgrading altogether to the next paid plan as your business grows. Despite its inherent limitations, freemiums are now offered by most product providers to give startups and SMBs a viable and practical entry point to use their software. But what free solutions should you try? Below, we’ve come up with the best free web-based help desk software that you can consider. They carry some of the best-in-class tools and capabilities notwithstanding their classification as freemiums. Some of the best free web based help desk software solutions here are part of tiered pricing models, some are full free platforms, and others are free open source software. Hence, there will be a variety of features and offerings, and you have to be on the lookout for the solutions that closely match your needs. Remember, you’ll not be on a free platform for the rest of you business life. So the best free software is there to set you up on solid footing until such time you leave free territory. For more information on paid plans, you can read the different help desk software pricing types. Freshdesk is an award-winning help desk solution used by over 150,000 businesses including some of the top brands in the world. It is designed to streamline all your customer conversations in one place, automate repetitive work to save you time, collaborate with other teams to resolve issues faster, help customers experience self-service solutions, as well as measure and improve help desk performance. It has literally has everything you need to redefine and elevate your customer support. These and more has landed Freshdesk into our #1 help desk software product for the past two years. Simply sign up for a Freshdesk free offer here. Freshdesk may well be the epitome of a great free help desk solution since it offers scalable price range that you can transition to, has reliable vendor support, and brings some of the most comprehensive features set for its free plan. As for pricing, it has five affordable plans starting with a free edition that includes an email channel, knowledge base, and basic phone, social, and chat channels. The immense advantage that Freshdesk gives you is the unlimited number of agents that can use the free edition. You read it right, no restrictions on how many of your help desk personnel can use the software’s freemium offering which, for all intents and purposes, sets you off to a great start. Zoho Desk is the customer support solution from the renowned Zoho family of over 40 different software and function-specific platforms. The great thing about Zoho is that its solutions are inter-operable which means that Zoho Desk can be integrated with other Zoho apps for CRM, sales, marketing, accounting, and many others, giving you a powerful, extensible solution in a unified platform. Zoho Desk boasts of the first context-aware help desk to help your business focus more on customers and not be sidelined by processes. It provides tools to automate frequent tasks, identify trends and patterns in your team’s efforts to improve performance, and allow your customers to reach out on a variety of channels. Want to try the app now? Just sign up for a Zoho Desk free offer here. Zoho Desk is available in two low-cost monthly paid plans and a free plan for up to 10 agents. Their free plan is one of the most feature-rich offerings around with over a dozen functions and capabilities including email box and web forms, knowledge base, work modes, domain mapping, priority SLAs, agent and manager dashboards, team feed, ticket overview, and remote support, among others. It is almost a complete help desk solution sufficient for a small team. It also offers a 15-day free trial and a money back guarantee wherein if you are not at all satisfied with the product, you can cancel your subscription anytime and get a full refund. Freshservice is an IT service desk software designed to modernize IT and other business functions through an easy-to-use and configure cloud platform. This popular customer support software provides all the essentials including a robust ticketing system, accessible knowledge base, asset discovery, and CMDB. In addition, the software is equipped with capabilities for vendor management, incident management, problem management, change management and release management. The software features a self-service portal that allows end users to raise tickets, check status of older tickets, get notifications, request new services and browse knowledge base articles. Besides the free app, the vendor also offers a great free trial plan. You can sign up for a Freshservice free trail here. Freshservice is offered through five affordable plans for mall, growing, and large teams as well as enterprises. The offerings include a free edition to help you get started for up to three agents, 100 assets, and 100 end users. The free solution brings features and capabilities such as incident management, asset management, self-service portal, knowledge base, and AD integration. Under incident management are features for email ticketing, canned responses, task management, automatic ticket assignment, SLA management, and auto-suggest solutions. There is likewise a mobile service desk available though iOS and Android apps, and 24/7 email and phone support. Wix Answers is a free, all-in-one, online help desk software solution that provides you with the tools you need for customer and business support. The solution comes complete with built-in knowledge base, call center, multi-channel ticketing system, and more, in one unified platform. With Wix Answers you can create your own help center that suits your branding, manage tickets from different support channels, provide assitance to customers from anywhere in your website, administer your own call center, facilitate all communication, and access actionable business insights for informed decision-making processes. You can easily manage, track and prioritize support tickets from various channels – email, phone or social media – and answer them directly from the platform. You can also send articles right from your knowledge base, get automatic article recommendations, and add custom fields to contact forms for more accurate customer information. The system has advanced customization options and a streamlined interface which makes it a smart, efficient, and reliable system for any business. Kayako is a simple and easy to use help desk system built for modern businesses looking to put their customer service channels in one place. Among its many features are live chats, tickets, web, email, calls or self-service support to help businesses further extend help to customers. Kayako generates insights based on customer queries, such as sales trends and opportunities, performance metrics, and support bottlenecks. You can also automate processes to fast track replies to standard queries or repetitive tasks so your agents can prioritize more pressing issues, or organize and route emails for easy sorting. The software allows you to launch live chat across your website and address customer concerns fast, giving you real-time, proactive support to possible prospects. Spiceworks is an entirely free help desk solution built by IT experts for IT users. The Spiceworks company is well known in the industry for providing world-class network monitoring and IT infrastructure management solutions at no cost, and this IT help desk platform continues the tradition. Managing IT systems is no walk in the park and Spiceworks offers helpful tools to let you know exactly what’s on your network, monitor critical devices, troubleshoot issues, and support users. The solution is designed to assist you in many ways – get answers from technical forums, learn quickly from instructive resources, find and buy the right products and mange and troubleshoot IT issues. The solution lets you launch a fully-loaded help desk in minutes to manage whatever users send your way. You’ll easily get to track user’s IT needs and issues, do inventory management, monitor device health, get customized reporting, and even get alerted at the first sign of trouble. Spiceworks is deployable on cloud for an online help desk or on premise and for a self-hosted platform. NABD System is a suite of configurable customer service solutions to help you deliver top level customer support across multiple channels. It lets you provide positive customer experience through its cross-channels capability, enabling you to engage customers via web, phone, email, chat, social media, and even on mobile. Aside from multi-channel capability, NABD also brings with it integrated BPM engine, unified dashboard, and collaboration tools. These enable you to optimally engage with customers, speed up issue resolution by sorting information agents need, set up an intelligent knowledge base, effectively monitor service queue, as well as assess customer support performance with the right metrics, relevant customer feedback, and return on action (ROA). NABD only offers three plans with two of them – Professional and Enterprise – paid options. Its free plan, however, could very well be one of the most feature-filled offerings around with over five dozen tools and features for customer communication, customer support/case management, document and correspondence automation, customer self-service portal, reports, security and system configuration, agent productivity, and other support processes. Mojo Helpdesk is a hosted help desk and ticket tracking software that centralizes all requests into one web-based, Gmail-like user interface. The software is built to work with G Suite so you can use your Google account to sign in with Mojo Helpdesk, integrate the platform with your Google domain, and navigate from G Suite to Mojo Helpdesk in one click. What you get with the software are self-service portal, custom forms, centralized requests, email integration, and automations. It allows you to centralize, assign and monitor user tech and customer requests, as well as internal tasks within the organization. Your users and customers can quickly submit their requests through email into a help desk or directly using a web interface where they are quickly assigned to helpdesk team agents for processing. All helpdesk messages that are sent to users and customers are recorded in a discussion-like thread. Mojo Helpdesk is available in four plans starting with a free edition for use by up three agents. It allows for limited queues, custom forms, custom views, triggers, and canned responses as well as 50MB per agent file storage. osTicket is a free, open source customer support ticket management software that lets you seamlessly route inquiries created via email, web-forms and phone calls into a simple, easy-to-use, multi-user, web-based customer support platform. It comes packed with features and tools that rival premium support ticket systems on the market. You can filter tickets and route them to the right agent as well as utilize the auto-assigner and auto-responder to set repeated actions and workflows for certain ticket types. The customer support app also provides dashboard reports and a customer self-service portal. With the software, you can gather tickets and delegate custom fields to each ticket, create a list of data linked with each ticket that can be shared on the knowledgebase for clients, build auto-response templates for incoming email tickets, and use rich text HTML to add videos, images, and logo to tickets. The solution’s ticket filter tool enable you to define routing rules for tickets so that they are assigned to the right department and person. C-Desk is a free web-based ticketing software designed to manage all types of service requests not only relating to IT but to all other functions in your organization that require a service desk. It is intended to be a multi-location software that can serve as an internal service platform or a customer support management solution. It comes with an array of tools and functionalities such as customer care module to handle service requests or complaints, vendor service portal, asset management that covers the complete lifecyle of assets, task and projects, voucher management system, C-forms for conducting surveys, knowledge base, and active directory authentication. It also provides a mail flow system, taskbar notifier, discussion forum, and C-chat which is part of an online service that offers a venue for users to communicate in real-time. All these bundles of features are provided in a user-friendly application that is completely free. ngDesk is another entirely free cloud customer service software that comes with a ticketing system, automation and escalation, help desk reporting, and mobile support, among others. It lets you have all the important help desk features that you need in one place, allowing you to handle everything from incident alerts to ticket management to live performance metrics, with no limits. Its ticketing system lets you funnel all your support channels into a single shared inbox where every support request you receive is automatically converted into a ticket, enabling your agents to easily manage incoming tickets. You can streamline ticket resolution by assigning and reassigning tickets to subject matter experts. In addition, when an agent is assigned to a ticket, they will receive notifications on all ticket updates and activity and become responsible for ensuring that ticket gets resolved. The system also handles SLAs so you can set, manage and exceed customer expectations. You can customize response times and prioritize tickets, and even set multiple SLA policies for different customers based on time of day or ticket severity. OTRS is an open source ticket request system that is offered both for free and commercial use. The software is designed as a help desk platform for IT service management and is constantly reviewed by the manufacturer and its community of users, making it one of the more secure than flexible open source software around. It is used by different industry sectors such as IT & telecommunications, government, healthcare, manufacturing, education and consumer products. With OTRS, tickets appear and are queued in Team Postboxes which can be interacted on from a customer portal or through email and mobile devices. Support personal are notified through SMS whenever a request is assigned for resolution or action. Meanwhile, customers are informed through their mobile phones for any status and updates of their requests. The system is able to assign and prioritize tickets through multiple service catalogs, advanced calendar with time tracking functions, and merging or assorting tickets by bulk. Hesk is a light, secure and user-friendly help desk platform offered free by IT solutions provider SysAid. It can be installed on local machines or deployed in the cloud to help you receive, organize, track and resolve customer support issues. It allows the creation of a knowledge base to for customer self-service experience and to decrease the load on your support staff. It boasts of a powerful ticket management system and several automation options to efficiently handle all ITSM issues. You can build custom fields and tweak help desk settings to align with your workflows. In fact, the ticket submission form can be modified to match your particular specifications. Once a ticket has been assigned to an agent, he or she can engage with the customer through a Web interface, share and upload files or make relevant notes. The system provides an admin panel that lets you filter and organize tickets as well as check ticket progress status. The customer is notified via email once a ticket or query is resolved. Solarwinds is a provider of services and solutions related to IT management and infrastructure such as networks, servers, applications, storage, virtualization, cloud, or development operations. One of its products is the Web Help Desk which has over a dozen features and functionalities to simplify and automate help desk ticketing and incident management. While this premium solution will set you back by $700, the good thing is that there is a zero-cost version. The Web Help Desk Free Edition enables you to manage all end-user trouble tickets and track service request lifecycle – from ticket creation to resolution – from one centralized help desk management web interface. Among the key features of the free solution are intuitive service request and self-service portal for end-users, automated ticket routing and assignment based on your needs, and active directory and LDAP authentication. The free software supports Windows, Linux, and Mac systems, and allows one technician login with no expiration and no obligation. HelpDeskZ is a free open source PHP based software designed to help you manage your site’s support with a web-based support ticket system. The software lets you organize tickets into groups and assign agents to groups to manage tickets. You can also create pre-formatted replies to common questions to ensure quick consistent responses; customize data collected from users when submitting a ticket to help get straight to the issue; assign multiple tickets to the same agent through bulk actions, allowing the categorizing, assigning or deleting of a hundred tickets in just a few clicks; create a wide knowledge base for your customers; inform your customers about new events happening in your site or business; and integrate with third-party applications through a Login-Share module. Likewise, the software allows you to open and answer tickets via email, prioritize ticket levels, set email notifications, and easily modify templates. What’s The Right Free Fit? As you may have noticed, free web-based help desk software solutions are not made equal. Some will stand out from the others through more features and functionality, and more or even unlimited number of users or agents. Feel your way around and study these offerings. No software, even free ones, is made to be a “one-size-fits-all” solution. Understandably, since these are zero-cost platforms, you get what is offered at the table – no more, no less. But with many free solutions available, you can filter and sort out which comes nearest to your startup requirements and help you initially jumpstart your business. It may also be to your advantage to consider a solution which has a range of pricing plans so you can upgrade smoothly to next paid option anytime you need to. Wise decisions are informed decisions. Be smart in choosing a free software and find the right close fit for you.